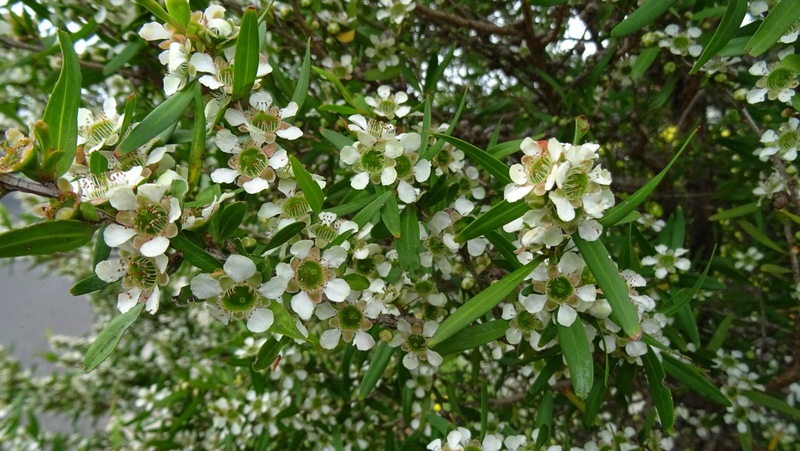 Leptospermum petersonii (or Leptospermum citratum), lemon-scented teatree is a tall shrub to small tree, growing to a maximum of 5 metres which is cultivated as an ornamental and for essential oils. It naturally occurs near sclerophyll forest or rainforest, on sandy or rocky escarpments, on the east coast of Australia. It has simple leaves, 20–40 mm long, with a distinctive, strong, lemony aroma. The flowers are white, followed by woody capsules. The leaves are distilled commercially for the essential oil which contains citronellal, citral, and pinene. It is grown in plantations in Kenya, Zaire, South Africa, Guatemala and Australia. The leaf of lemon-scented teatree is also used as a flavouring ingredient in boutique tea blends with standard black tea, Camelia sinensis. 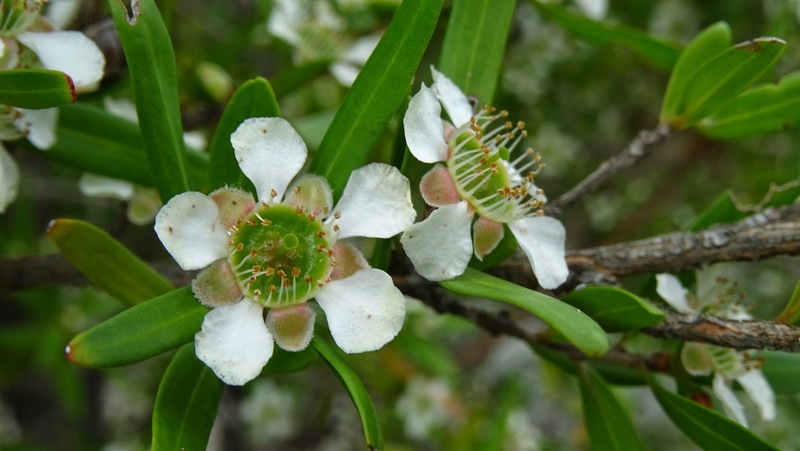 The essential oil from L.petersonii inhibits the pathological fungi Candida albicans and Aspergillus fumigatus. 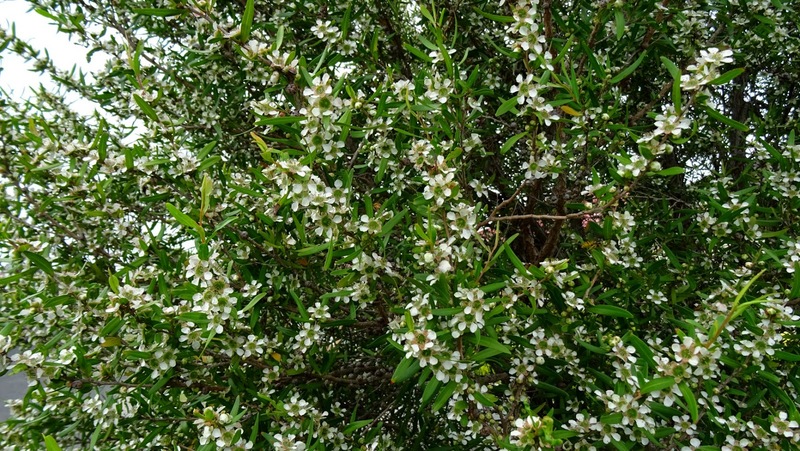 Lemon-scented teatree is well known as a garden plant, popular for its scent and attractiveness. 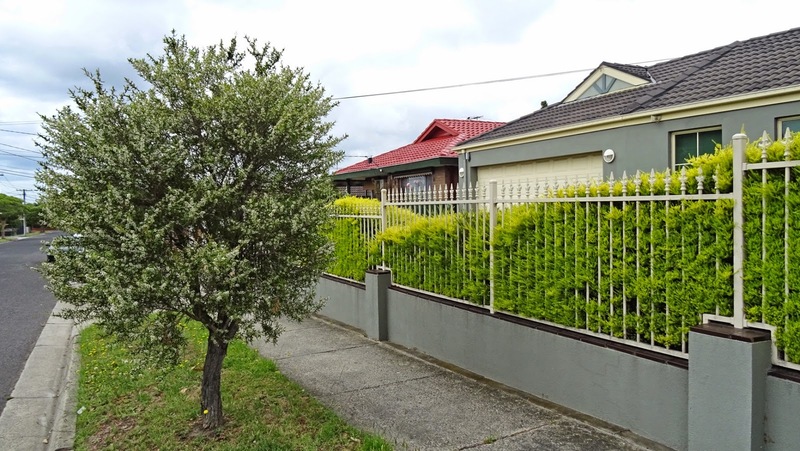 It is fast growing and can be kept to shrub height by pruning. The ability to be pruned regularly also makes it well-suited for hedges, windbreaks and harvesting for distilled essential oils. 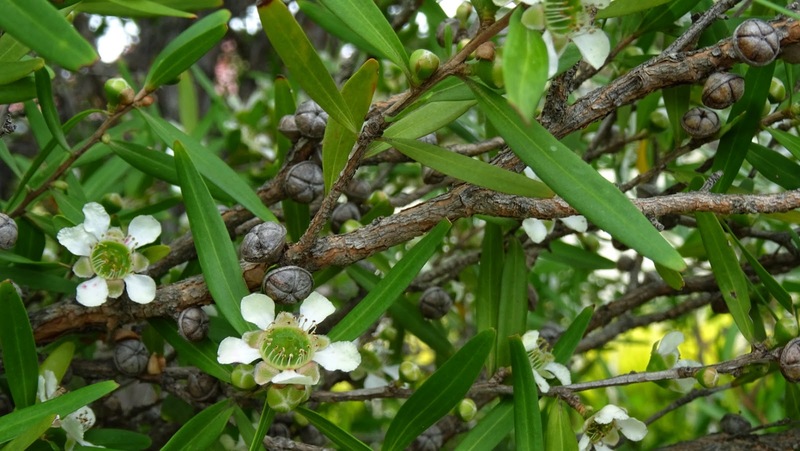 Leptospermum liversidgei is also called "lemon-scented teatree" due to the presence of lemony essential oils. and also part of the Friday Greens meme. I love the shape of the flowers! What delightful street trees, I would be plucking a few leaves as I walked past. I bought a tea tree for my sis in Borneo, must be the same one to repel mosquitoes. Feel free to comment, I'd really like to hear from you! Please do not use this comment box to advertise your goods and services! Looks forbidding... This post is part of the My Sunday Best meme .